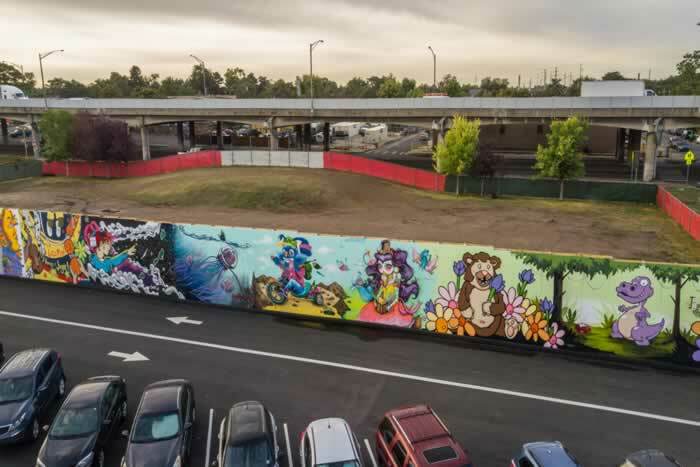 Members of Art Community Join Forces to "Play Your Art Out"
Building off the successful 'duct-work events in 2016 and 2017, the Colorado Department of Transportation's (CDOT) Central 70 Project teamed with local artists to transform the blank fence panels on the south side of Swansea Elementary School into an urban art exhibit. 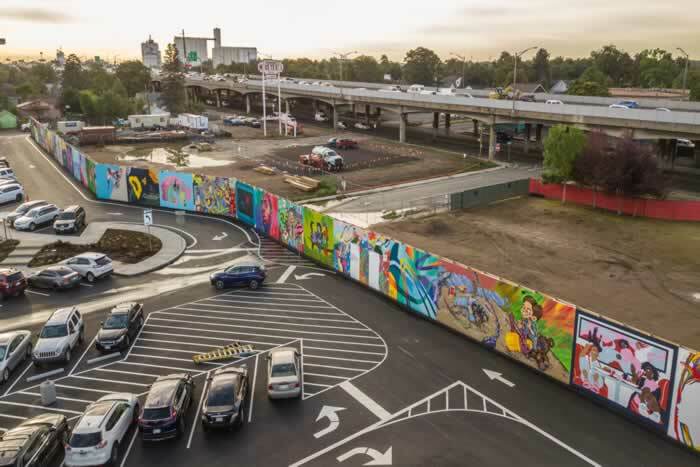 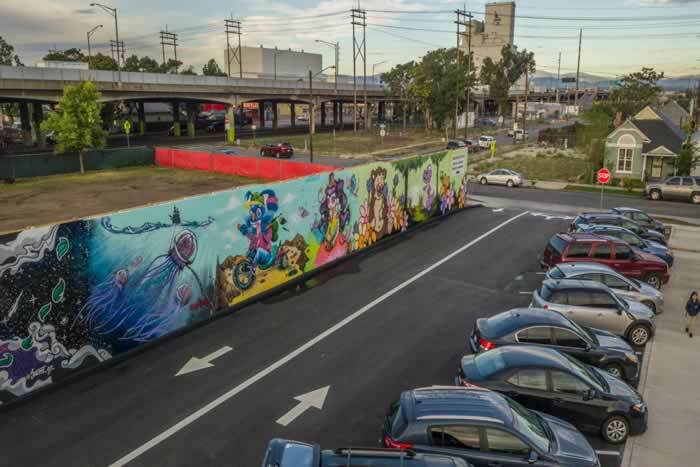 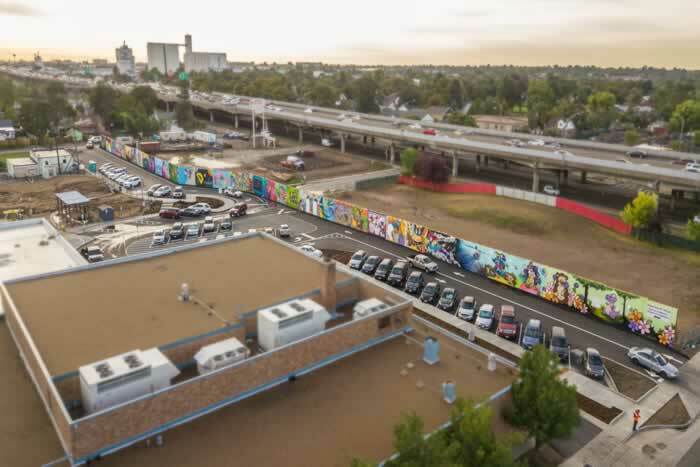 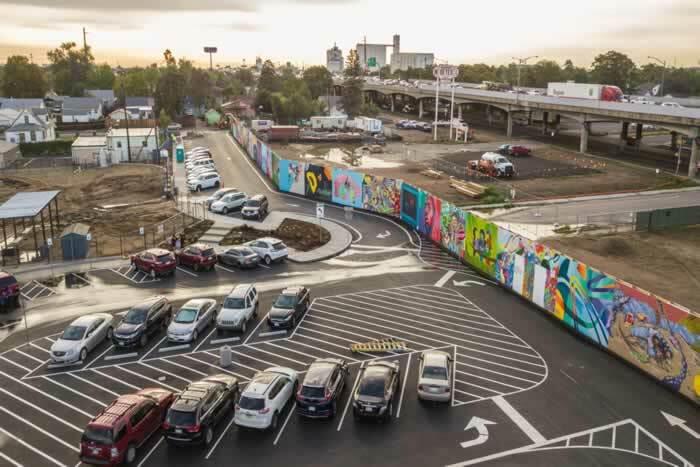 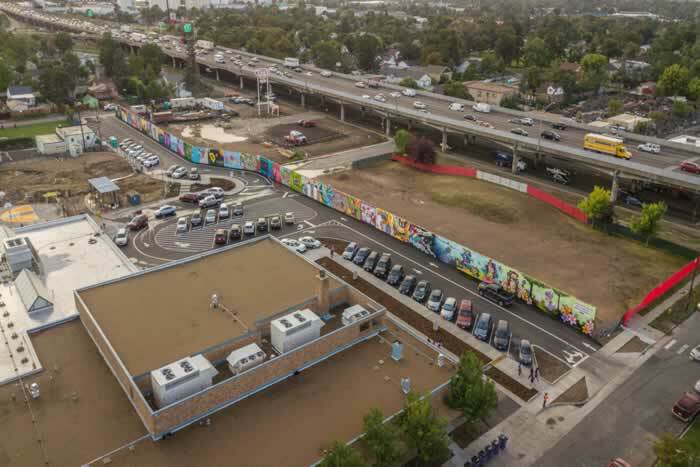 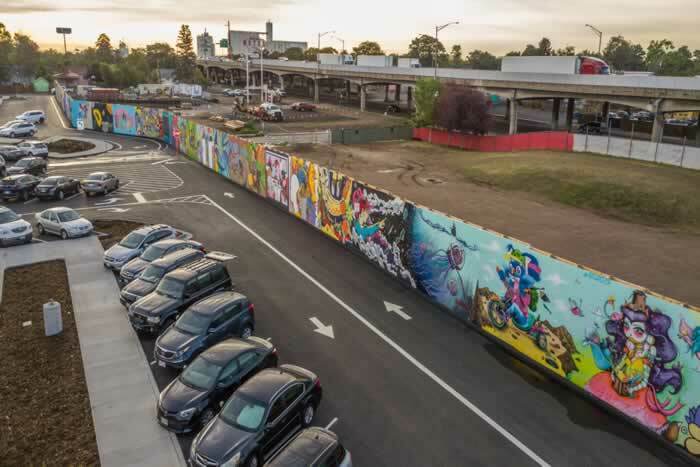 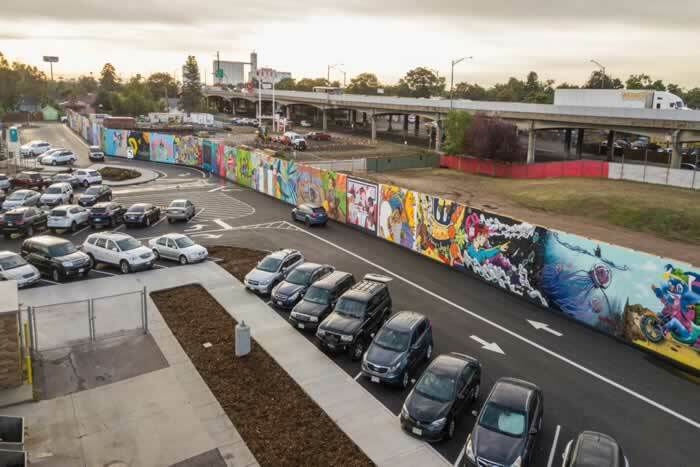 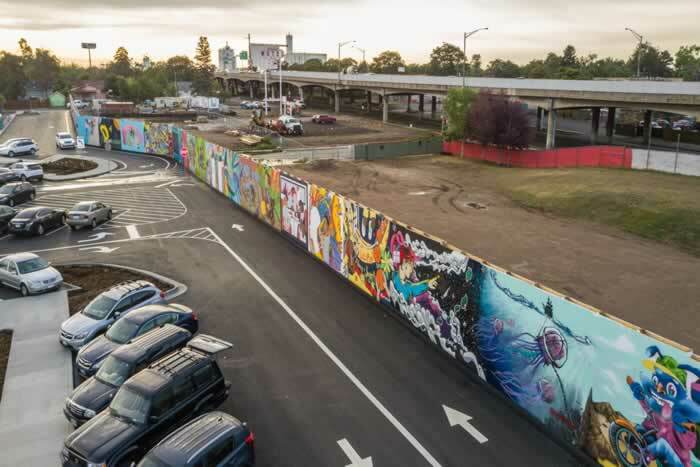 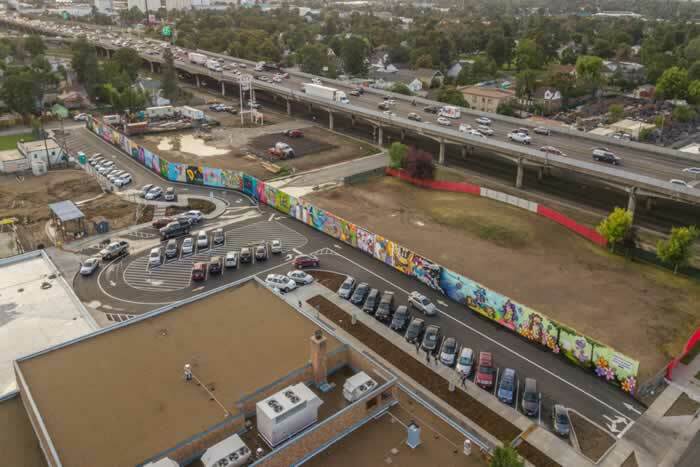 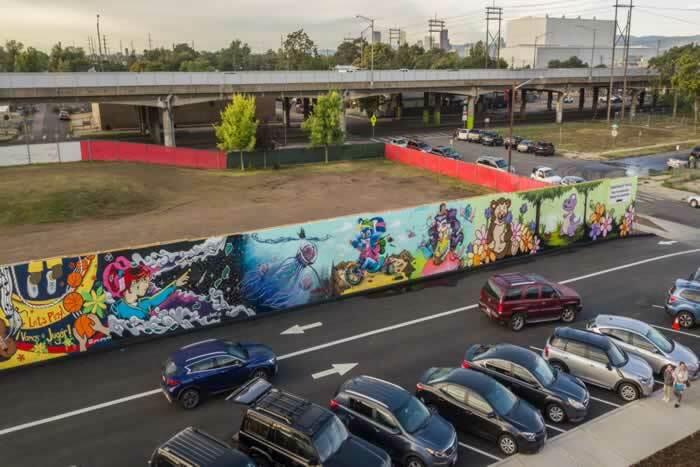 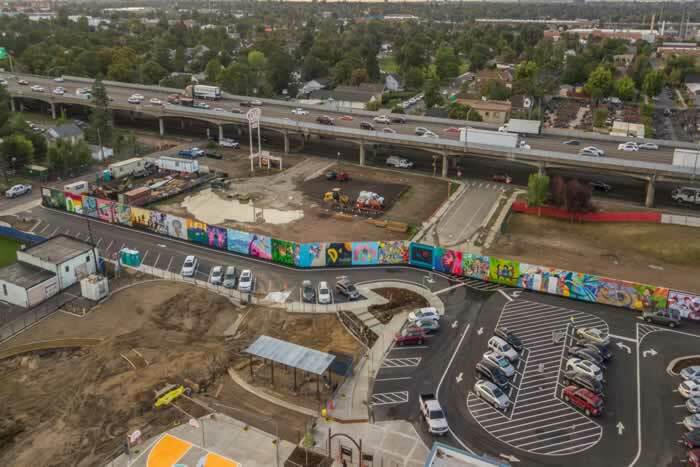 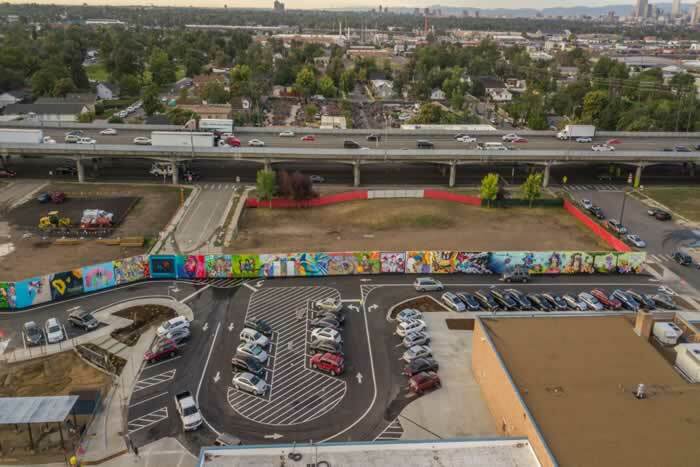 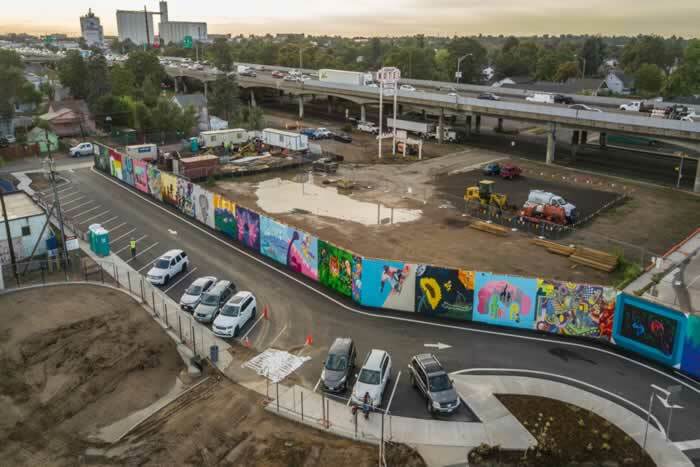 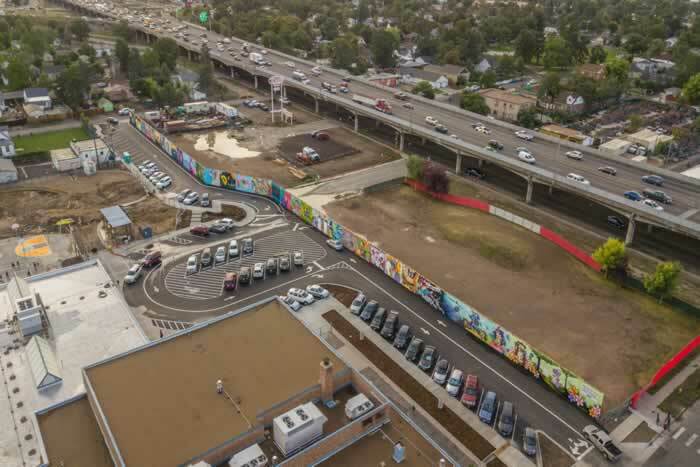 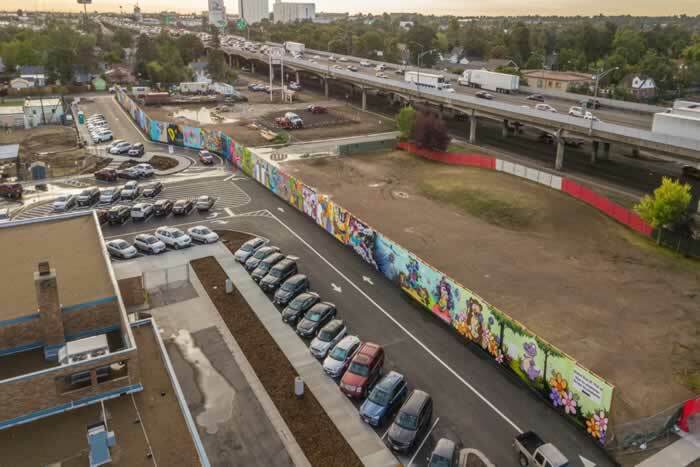 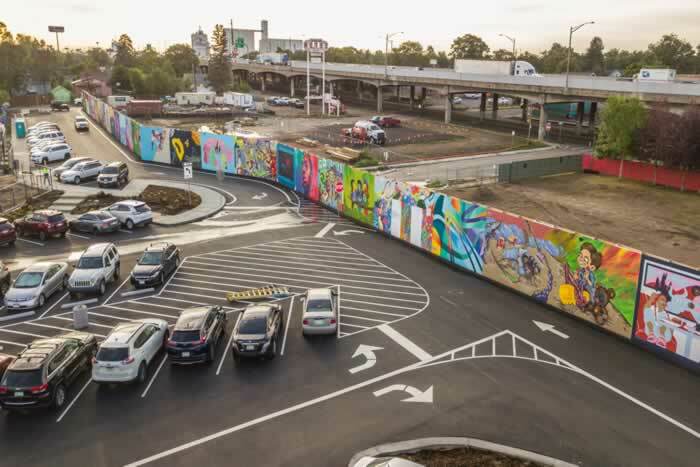 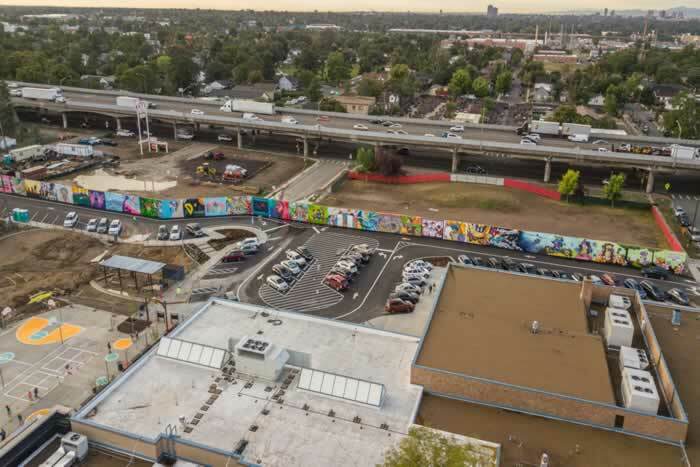 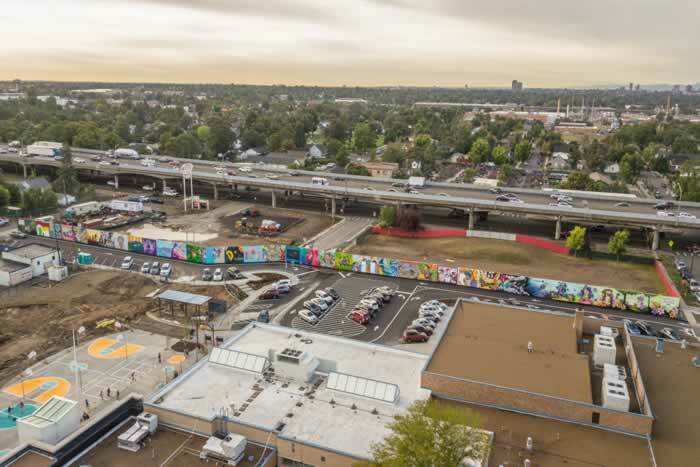 With the stretch of 46th Avenue between Brighton Boulevard and York Street closing permanently very soon, the artwork gallery beneath the highway will no longer be visible to the community. 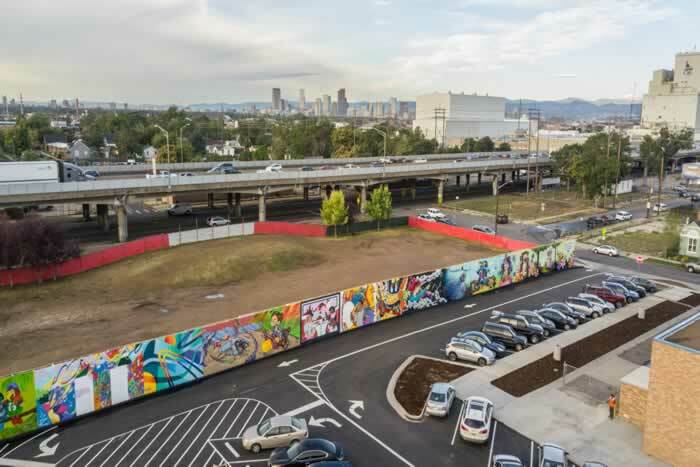 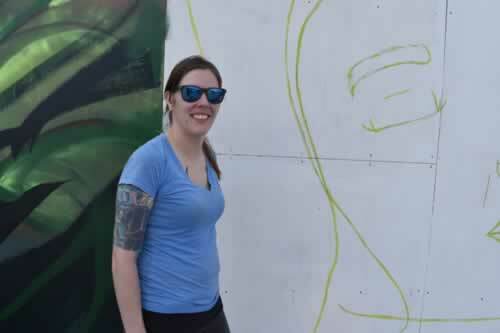 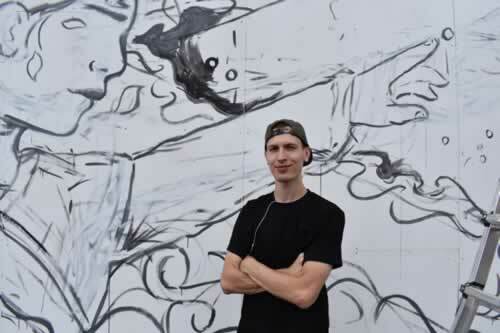 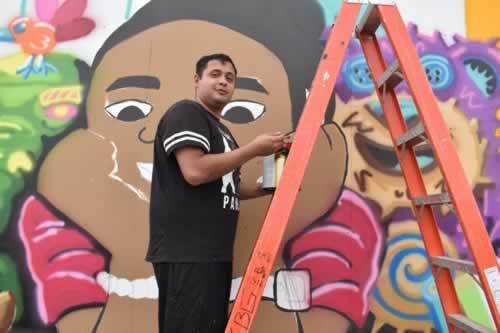 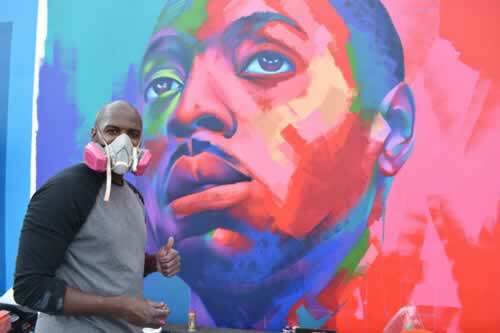 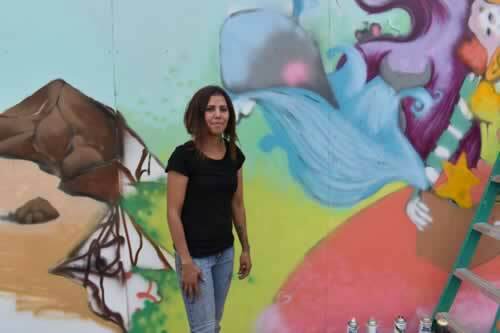 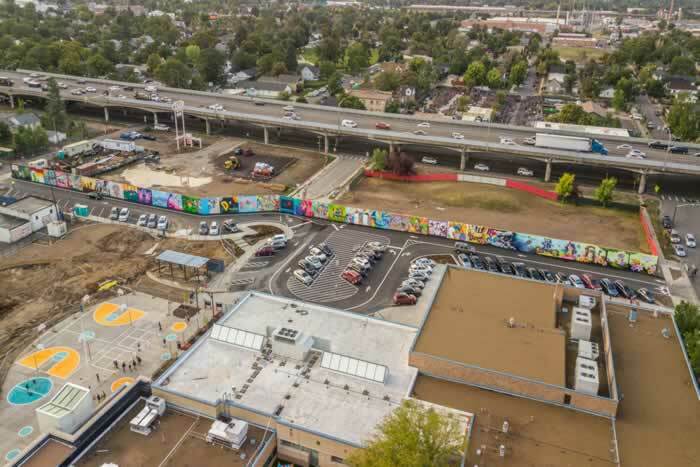 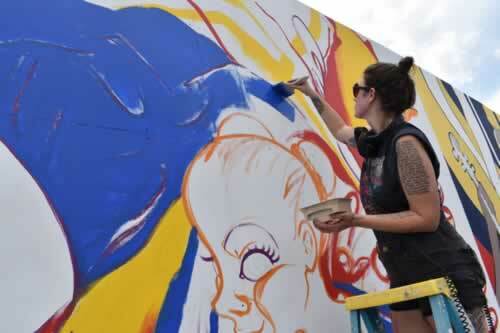 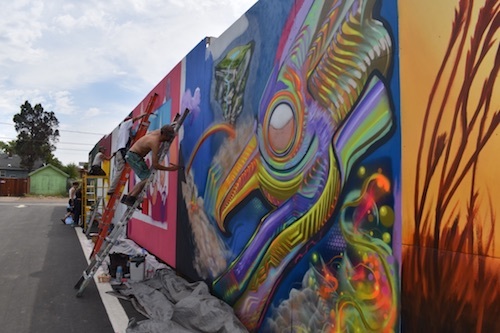 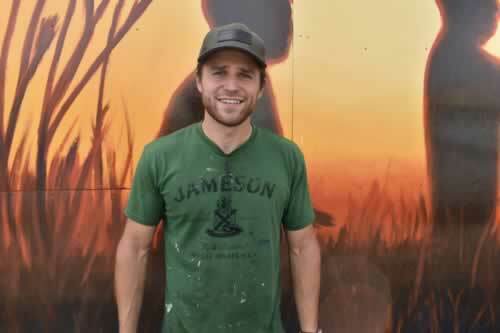 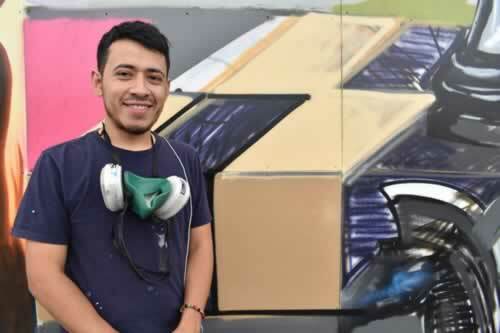 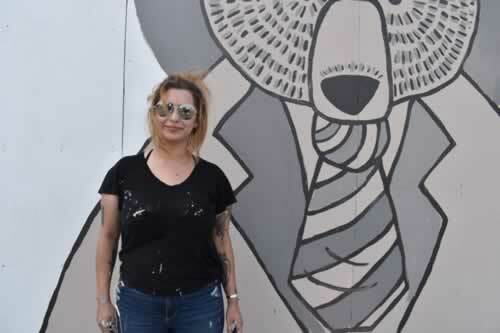 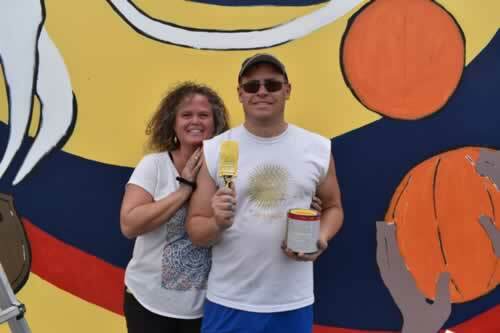 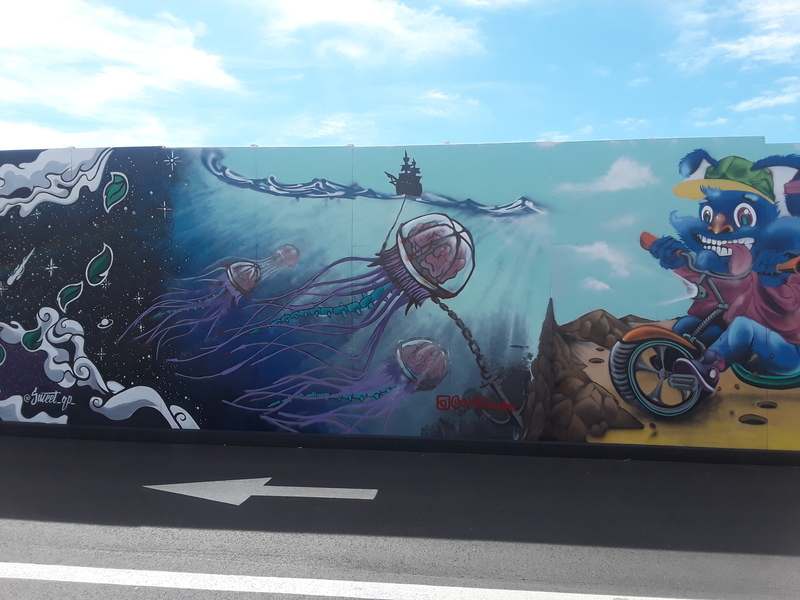 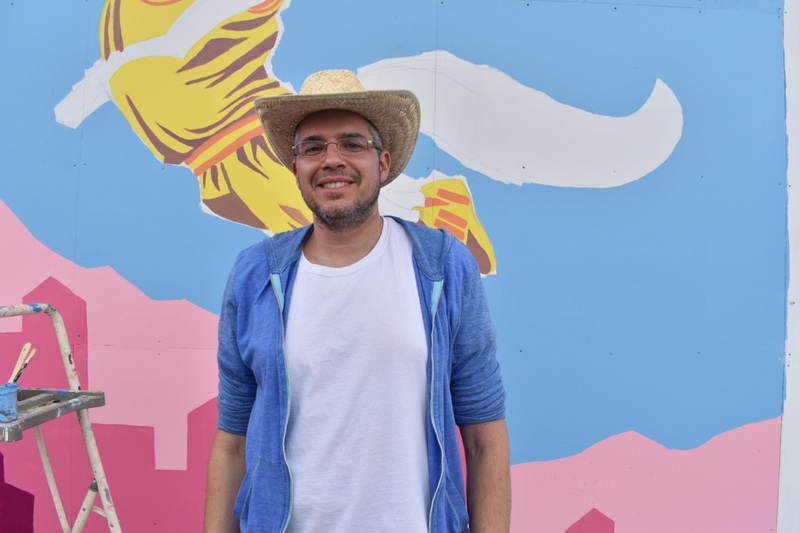 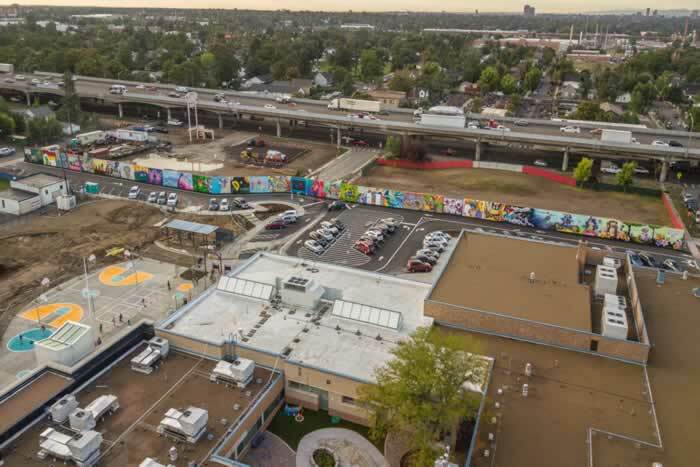 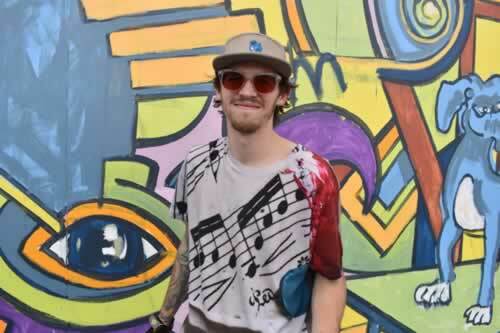 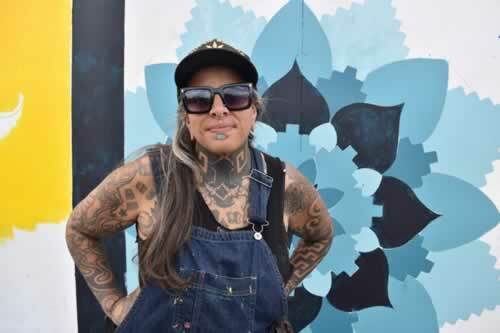 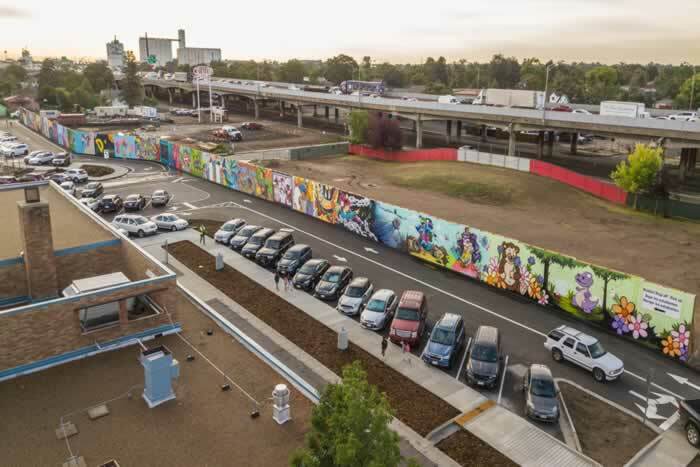 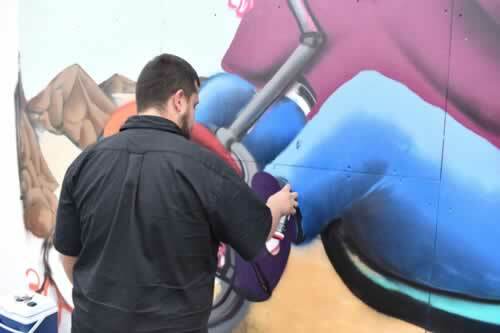 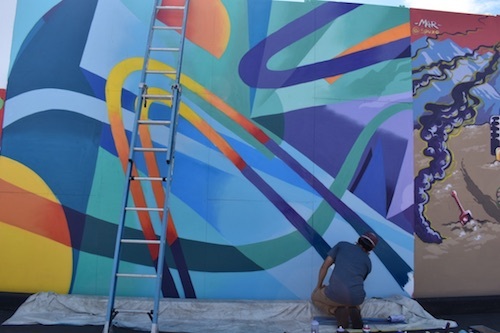 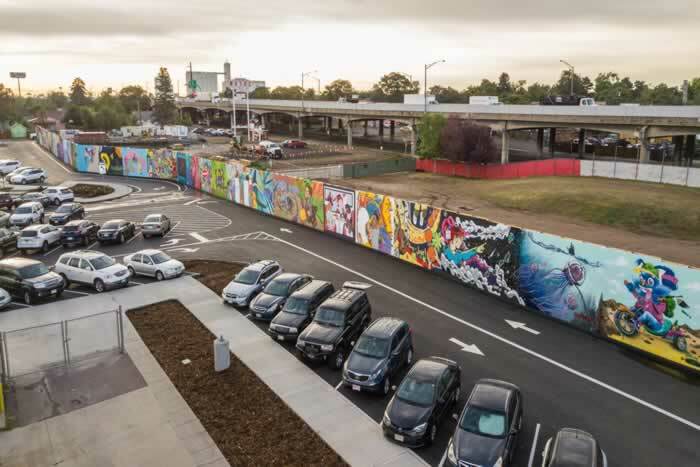 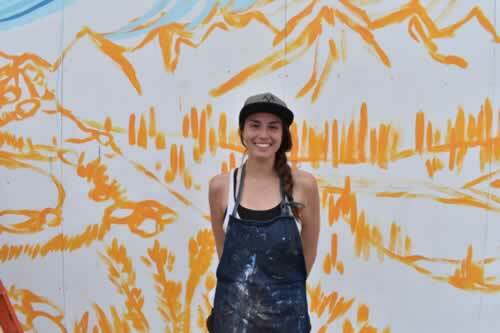 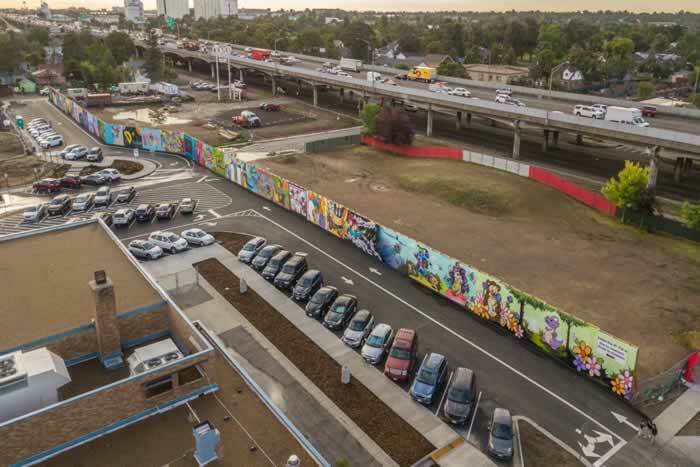 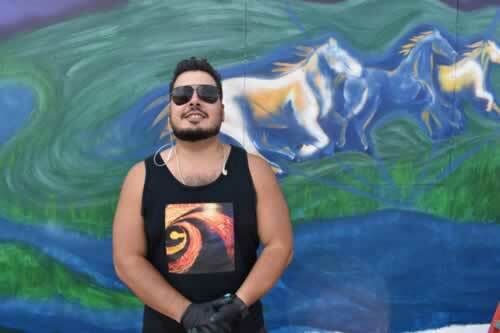 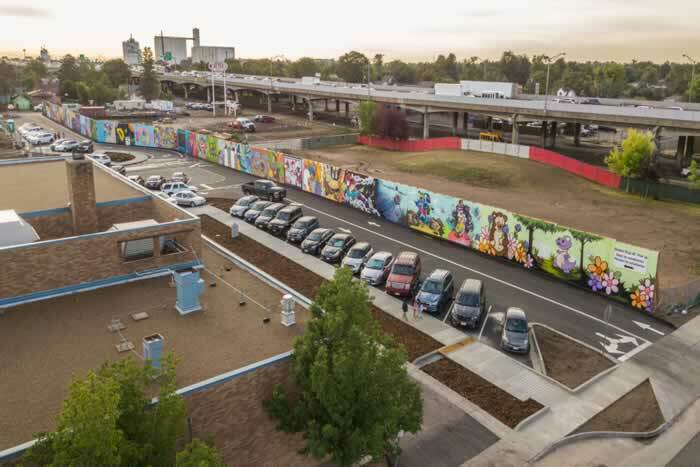 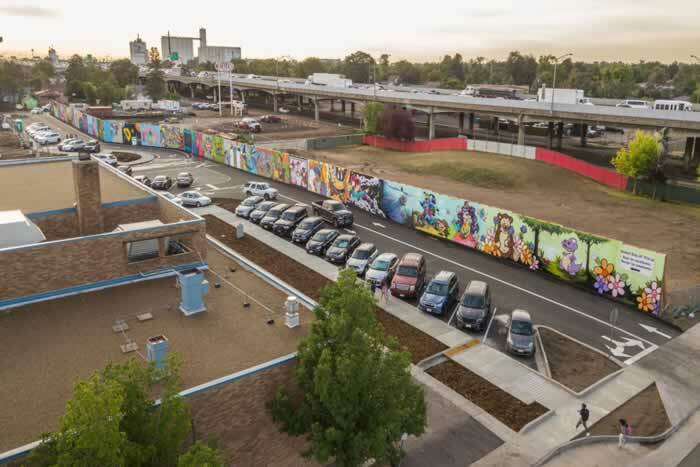 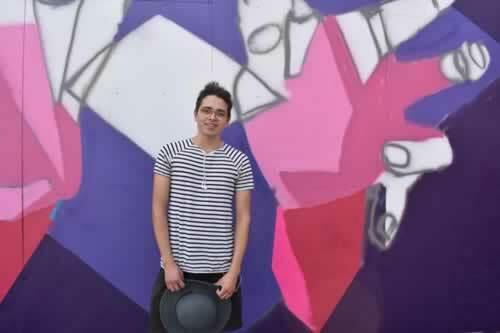 To take its place, more than 30 local artists converged on the school grounds to paint new murals on the fence constructed along the south side of the school.